If you would like to celebrate St. George's Day with your students on 23rd April you can make a poster of a dragon. As an introduction tell the legend of George and the dragon or watch the film (for example from British Council website). Then divide your students into groups of five and ask them to draw a dragon, decorate it and label the body parts. When the dragons are ready put them up in the classroom. 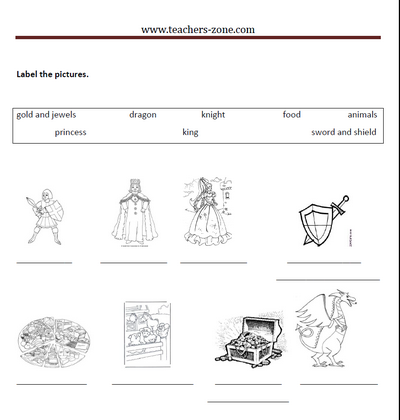 For fast finishers copy the worksheet to practise key words from St. George's legend.